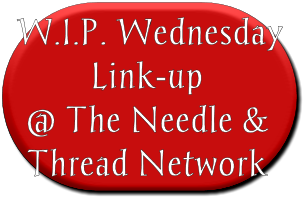 My name is Adrienne Klenck and I am thrilled to be joining you here on the Needle and Thread Network! 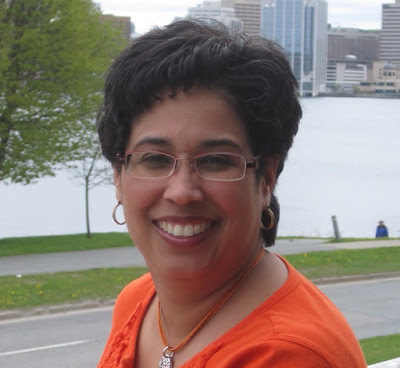 I am a Quilter and Maritimer at heart, hailing from Nova Scotia. While I have left the province a time or two, home I am again and unlikely to leave. 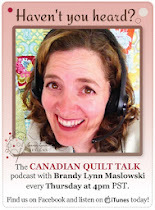 I have been blogging about my quilting adventures for four years over at Chezzetcook Modern Quilts (click the link or use http://chezzetcookmodernquilts.blogspot.ca/). Chezzetcook is the name of the small community on the Eastern Shore of NS where I grew up. I like to stay close to my roots. I can honestly say that I have an addiction to fabric. Cutting it up, and putting it back together. I have been quilting twenty years now, oh dear, when you say things like that out loud you feel old. I’ll be right back. Must make cocktail. Right, I’m back! (cocktail in hand). Lets start at the beginning shall we.... In the movie “Groundhog Day” Bill Murray slept under a quilt at the B&B. It was a triple Irish Chain. I HAD to make it. 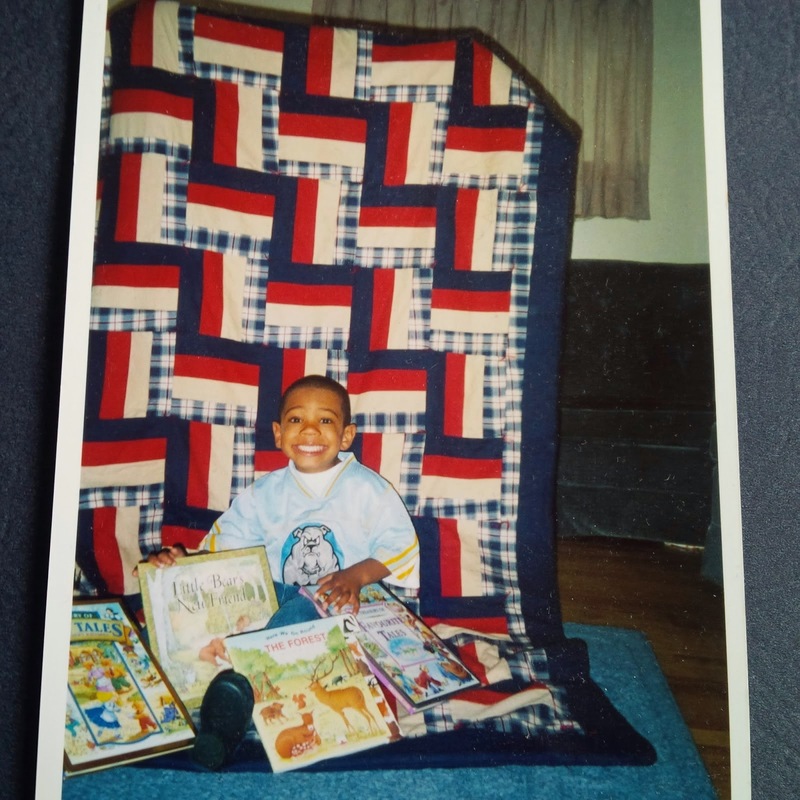 There were no quilters in my family. Talented seamstresses yes, but no quilters. I took myself to a class, made a triple Irish chain and the rest is history. So while I have been stitching for quite a while, and many quilts have been made (and loved), I would say that my quilting “career” has really taken off in the last three years. In fact it was three years ago this month that I started the Maritime Modern Quilt Guild, a chapter of the international Modern Quilt Guild. Acting as President of the guild these last three years I have finally found my quilty people and enjoy being inspired and motivated by the most amazing community of makers. Being a part of this new found quilty community I also found some new opportunities, including teaching! 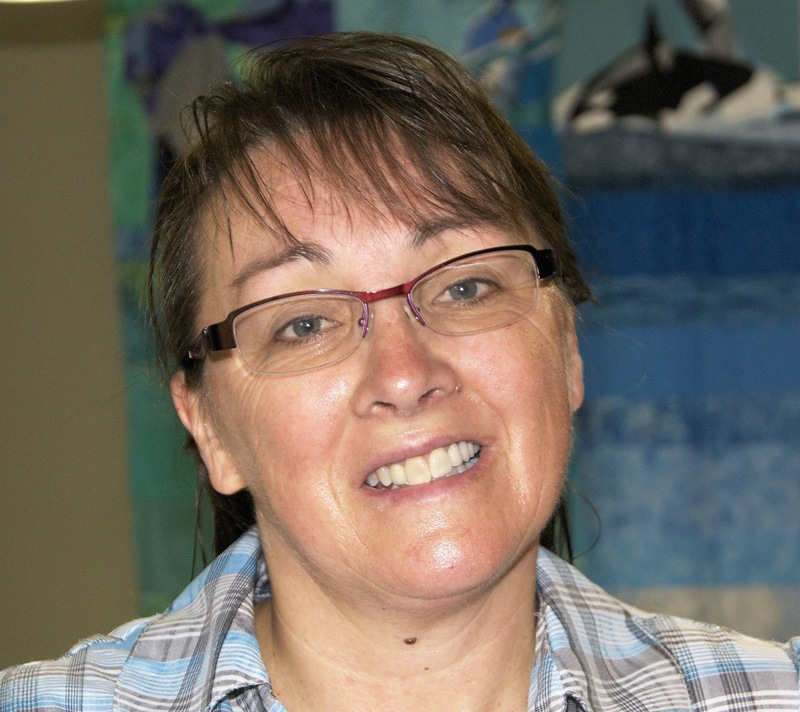 Over the last two years I have been teaching beginners quilting classes at Patch Halifax, our LQS in Halifax. I simply love teaching, and when a new quilter leaves after those four weeks with their first quilt and plans to make their next, what a feeling! The dream of course is a small cottage studio in the backyard where I could teach, host sew-ins etc. Doesn’t that sound sweet? Oh the dream! 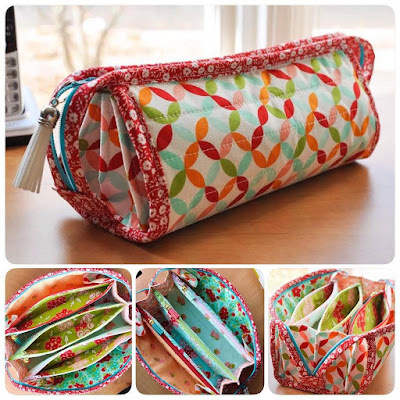 In the mean time, I have been sewing like a fiend these last few years as well. All of that inspiration pushes you forward. I want to go to every class, learn every new technique! Just last weekend I attended the Weight of Love Quilt Workshop with Libs Elliott in Dartmouth. Its Y-Seams not Cry-Seams people! Here is a peek at my quilt from the workshop. Time to Quilt! Anywho, my other most recent adventure, besides trying to be diligent with my blogging, is opening an Etsy Store! Squeeeee! 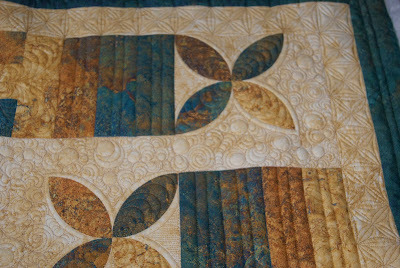 A most talented friend Jeanette, from Stamp Stitch Create, and I have partnered to open Seam Work to show our quilty wares. 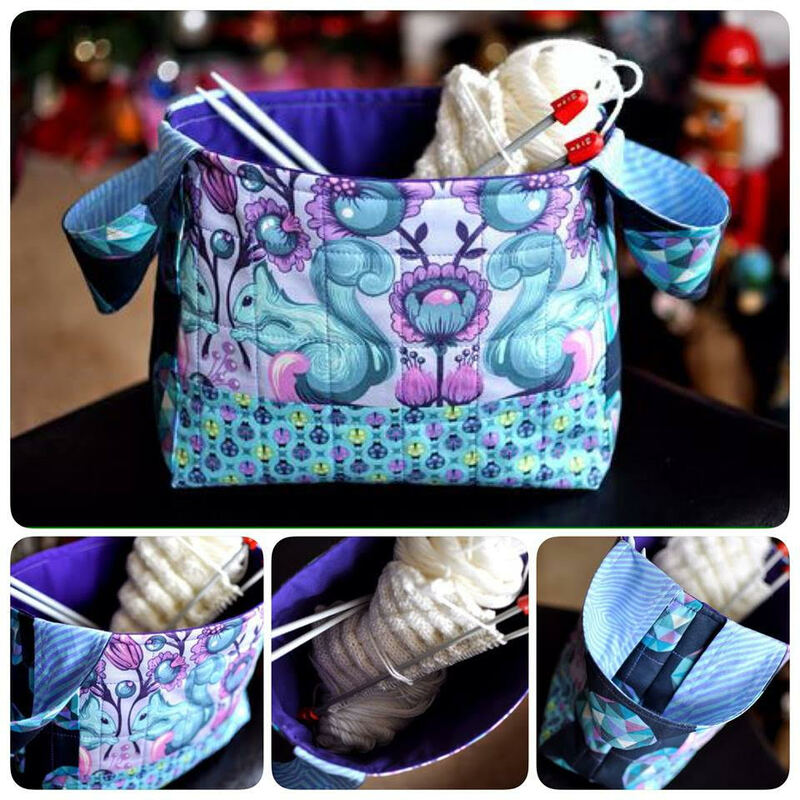 You can learn more about Seam Work if you pop over to my blog now. But let me tell you, we are pretty proud and excited by our wee venture. 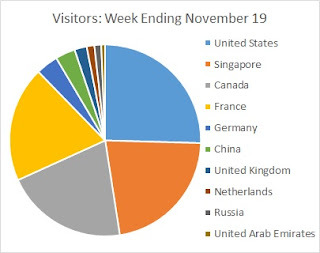 We just had our first sale this week! I think I have covered all of the salient points about me and my obsession. I will leave you with a few pictures of some favorite finishes. Some new, some old, and some in between. Hello, my name is Ruth Quinn. 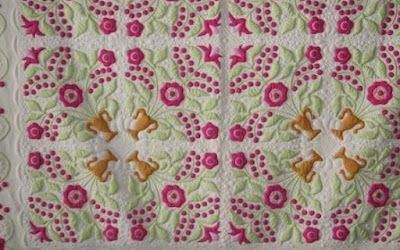 Stitching Impressions is the name of my long arm quilting service and my blog. Before getting married, I had gone to college and worked for 6 years. After getting married at 29, I decided that I wanted to stay at home with my kids. 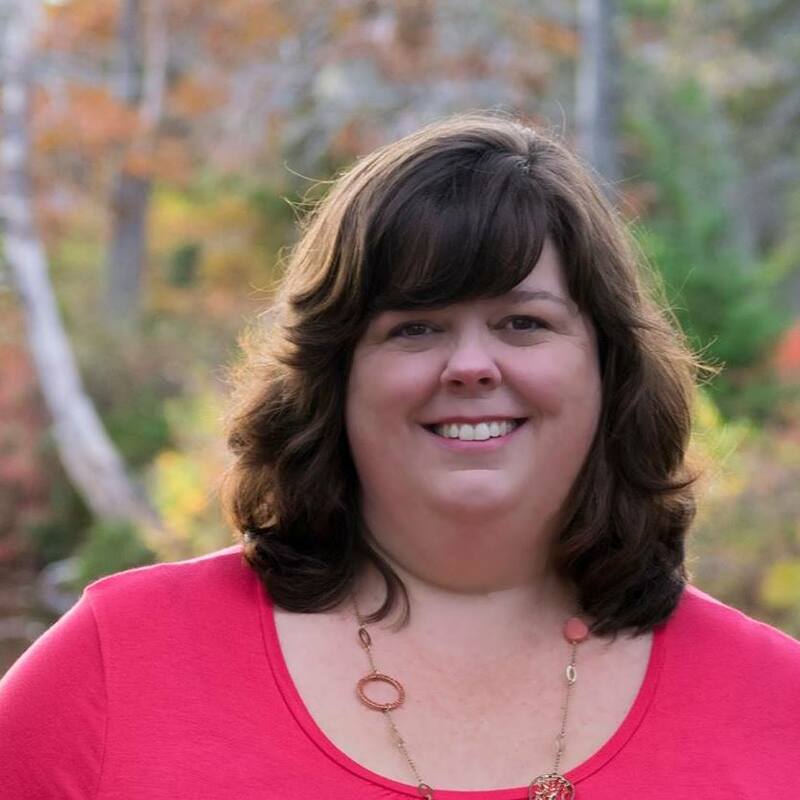 After the birth of my first son, I quickly realized that taking care of kids, a home and a husband didn't leave me much time for myself or my interests. And I needed something just for me - to keep me sane. My next door neighbour offered quilting classes, in the evenings, so it fit into my schedule perfectly. Crafting (crocheting, cross stitching, and sewing) had previously been a part of my life. I never expected the quilting bug to bite me as hard as it did. After several years of quilting, I discovered that I wanted to make more quilts but I wanted to finish them instead of having them piling up, unfinished. I tried hand quilting (which I loved but it was time consuming and I wanted finished results) and machine quilting, on my domestic machine. The puckers on the backs always drove me crazy though. I can't remember how I stumbled upon long arm quilting machines but I did. I knew I wanted one but how to get my husband on board? It took me one year to convince him and thus Stitching Impressions was born. To say I was "green" is an understatement. I had no idea of what SID (stitch in the ditch) was or how to even quilt feathers on a quilt. 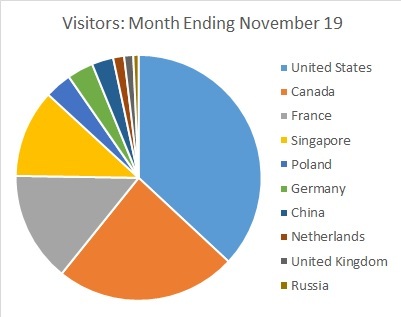 I remember when my first customer showed up in my studio. She wanted feathers in the white area on her log cabin quilt. After she left, I stood there staring at the quilt and thinking "how am I going to quilt feathers onto this top?" That was 10 years ago!! 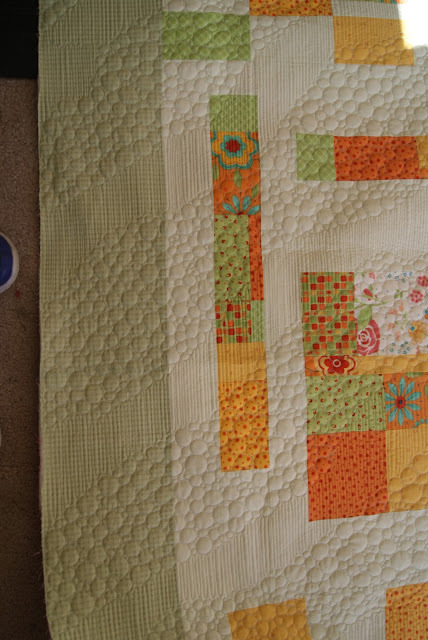 Since then, I have jumped into the quilting world head first. Hard work, a determination to learn, change and grow has helped me improve immensely. I am proud to say that in the past 6 months, I have quilted 2 "Friends of Baltimore" quilts for customers. One of these quilts was recently accepted into the Canadian Annual Quilt Show, 2016. And the other one just won Viewer's Choice Award at The Hilton Head Island Quilt Show, in South Carolina. 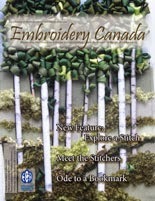 I also have quilted for Northcott Silk Inc, in Vaughan, Ontario. 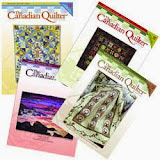 The quilts I have quilted are samples that they hang in their booth at the International Quilt Show, in Houston, Texas. 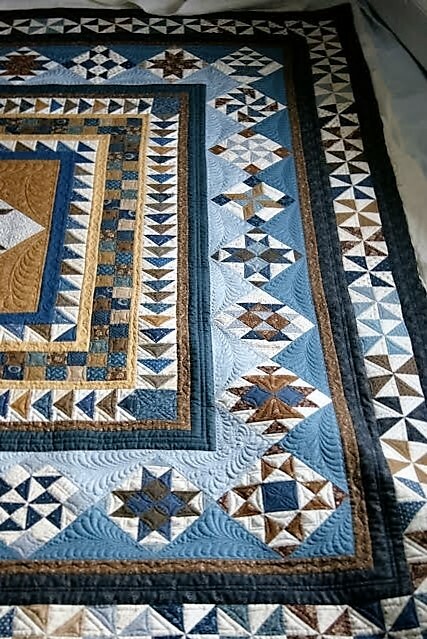 Even though I have been long arm quilting for customers for 10 years, I still love it, although, I long to find the time to work on my own pieces for myself. 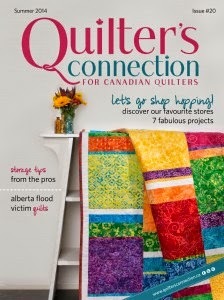 The only problem with this is that I can't seem to settle upon one type of quilts. 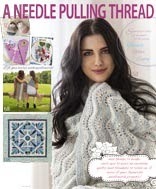 I love applique quilts, modern quilts, applique, and art quilts. But who says that I have to settle upon one particular style anyway? Slowly, I am learning to follow my heart and see where that leads me. 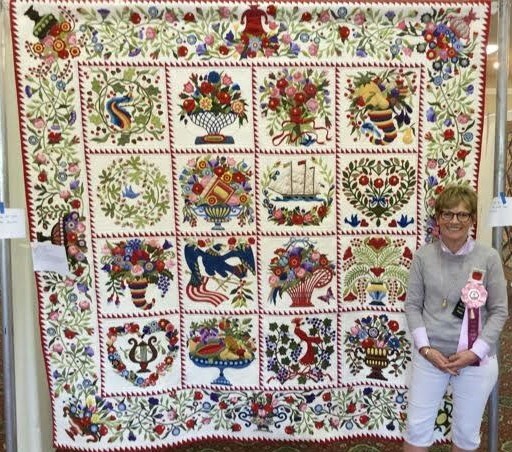 Maybe one day, I will see one of my own quilts hanging in Houston. Who knows? All I know is that I want to create my own designs, whatever style or method that may be. 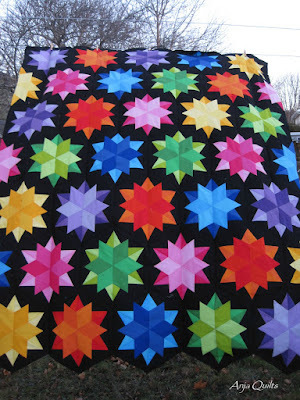 Currently, I m in love with gradated colour quilts. I have one hanging on my wall that I hope to complete within the next year, so stay tuned. 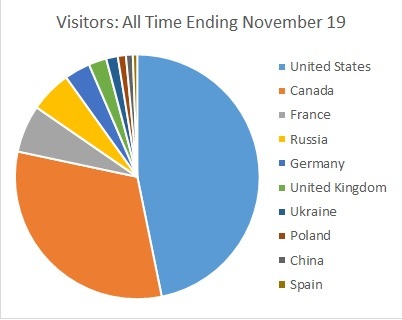 My blog is also another avenue that keeps me on my toes. I love writing, showing what I am working on , and showing off the quilts that my customers have created. I love the quilting industry. There are so many creative people out there and I love how there is always something to learn or try. Sometimes it is over whelming but it is also so fascinating and enthralling. In regard to that very first quilt, I did mark the feathers onto the quilt with an air erasable marker and slowly quilted in the feathers. The lady, who owned the quilt loved it and that is all that really matters, in the end. Thanks for taking the time to get to know me. 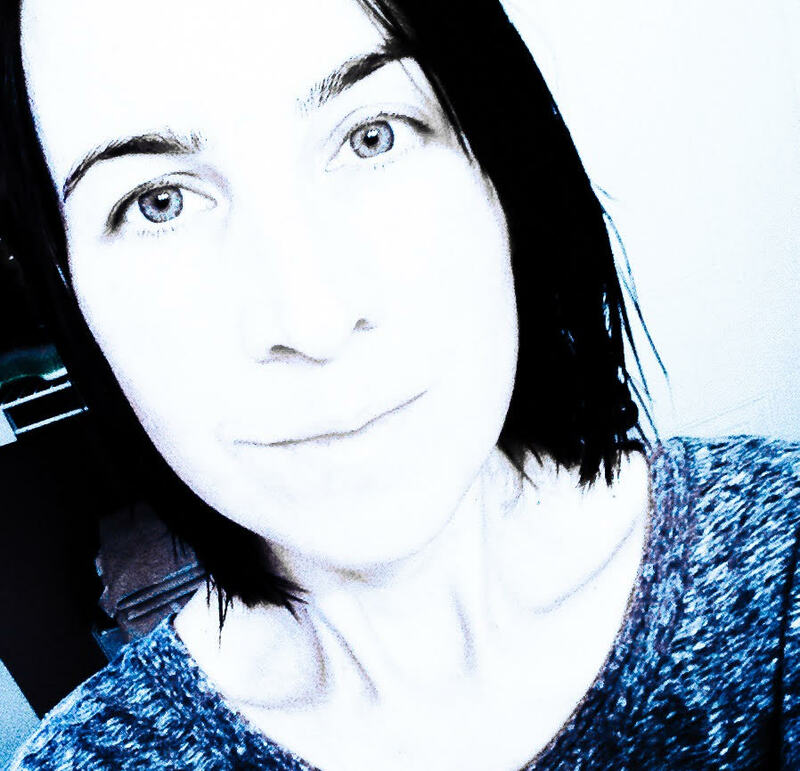 My name is Anja Clyke. I'm from Dartmouth, Nova Scotia. 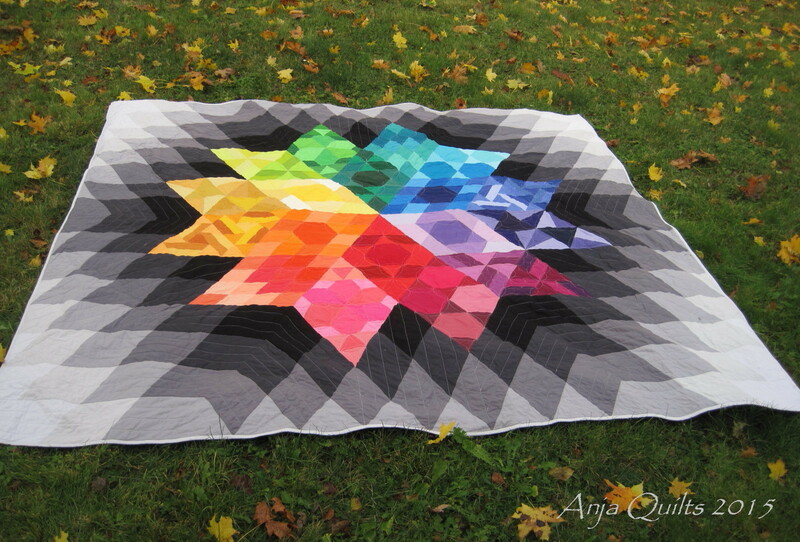 I blog over at Anja Quilts. I've been quilting since 2003 when I took a rail fence quilt class at my LQS. It was made using flannel, and it was for my nephew's fourth birthday. Because it was made of flannel, that quilt has gone on to quilt heaven. 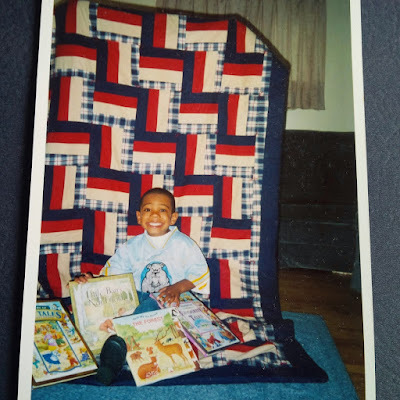 But I have made many, many quilts for my nephew over the years, and I'm already thinking about a graduation quilt for when he finishes grade 12 in two years. I lean more toward modern quilts, but I create whatever interests me. 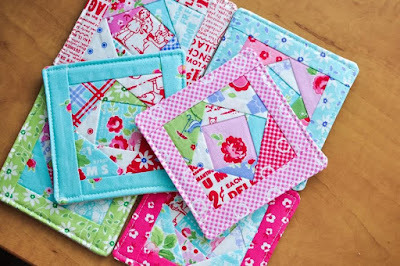 I prefer efficient piecing methods, and I am not a fan of paper piecing. My largest finish to date is Gravity -- a pattern by Jaybird Quilts. I made the quilt during a Quilt Along Hosted by Myra at Busy Hand Quilts. This is one of the few quilts that I've made for myself, and it's currently on my bed, with Gravity Pillows I made. Another quilt that I have made for myself, but not yet quilted, is Night Sky -- another pattern by Jaybird Quilts. I'm undecided on how to quilt this, so I've put it aside until I can make up my mind. 2015 was the year of Kona solids -- I made a lot of quilts using Kona. My most exciting thing from 2015 was that I created a quilt block -- Floored. But even more exciting, my block was chosen to be featured in the Quilter's Planner 2016 created by Stephanie @ Late Night Quilter. 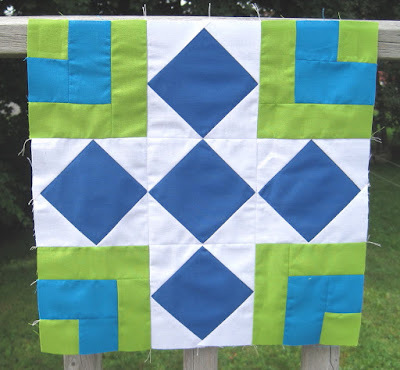 My goals for 2016 are to improve my free motion quilting skills and to create a pattern for my Floored block.